Smart Woman Online: Ask Patty! Today's Smart Woman Online comes with cheerleaders -- all the women out there who get treated like pests when they go to a car dealership to buy a car - if you're one, stop by and give her a Yeehaw! When we ladies decide to go out to our local car dealership to buy a car...we're most often ignored as if invisible. If we bring a man (just to get noticed!) but try to dominate the sale (because it's our car, after all), we're treated like a mouthy kid, or worse yet, expected to allow the man to do all the talking. Ever been there, ladies? Ever felt that growing burn coming up from your toes, spreading to your gut, up to your neck, threatening to blow the top of your head off? Yeah, you have. Well, folks, there is hope. Lots of it. As I mentioned in Tuesday's post, I have a doozy planned today. Jody DeVere is the creator of AskPatty, a site that supports women in the automobile industry and she has some stories to tell...better than that - she's encouraging you to visit AskPatty and tell your own story! Yvonne: I'm sure you're aware of the stat making the rounds of the net that says women influence or buy over 80% of the goods and services in the U.S. but, you're saying we also purchase over half the cars. That's huge. How do you know that? Jody DeVere: Actually, Women either buy or influence the purchase of 85% of all new cars and trucks sold in the United States today. And automakers spend millions of dollars annually in advertising and marketing targeted specifically to women. These statistics are from JD Power and Associates ,the National Automobile Dealers Association and Ward's Auto . Yvonne: According to Cars Magazine, as noted in your May 26th press release, --"the Women’s Automotive Association International based in Detroit Michigan has given their endorsement to “Ask Patty”, a division of CarsMagazine.com. “Ask Patty” is a women’s consumer website that provides a “safe” place for women consumers to ask questions about car purchases, car maintenance, repair, safety and car care." I didn't even know there was a Women's Automotive International! When did that come along? The focus of the Association is on the development and retention of women leaders and the education and support of all persons, without prejudice, who have an interest in the automotive industry. Lorraine Schultz, who is based in Detroit, Michigan ("Motor City") is the ground breaker and visionary who founded the www.waai.com, she is currently our CEO. In 1995 Lorraine saw the need for a supportive automotive women's organization as there were so few women in senior management positions. Lorraine's support and WAAI programs over the past eleven years has paved the way, honored and inspired many women executives in the automotive industry today. I am privileged to be the current president of this dynamic 500+ member automotive professional women's organization. Ask Patty and CarsMagazine.com are very pleased and honored by the Women's Automotive Association International endorsement! Jody: Women now purchase roughly 40% of the 9.2 million sport-utility vehicles and pickup trucks sold in the U.S. each year, according to auto research firm R.L. Polk. Mid-sized and compact models, such as the Jeep Grand Cherokee, Kia Sportage and Ford Explorer, have been especially popular with female buyers. Yvonne: Here in Rochester, we have a delightful and successful automobile dealership owned by a woman, Kitty Van Bortel. Do you have any idea how many automobile dealerships there are in the country? What kinds of stumbling blocks would a woman have to overcome to make herself successful in this male dominated world? Jody: Kitty owns the top selling Subaru dealership in the nation, as well as one of the most successful Ford dealerships in a multi-state area. Her automotive group is now one of the fastest growing, privately held companies in the greater Rochester, NY area. Kitty is respected woman among dealers. She is one of the 750+ women owned new car franchised dealers in the US ( there are 21,145 total new car and truck franchised dealerships as of the end of 2005), which means ONLY 3.4% are solely owned by women. There are approximately 40,000 used car and truck or "independent" dealerships in the US , approximately 6000 RV dealer ships of which I do not have stats available on how many are owned by women - Yet!). However, there are many additional new car and truck franchised dealerships owned by couples or who are family owned with wives, daughters daughter- in-laws, nieces and granddaughters very involved in the day to day operations. Stumbling blocks? I believe the auto industry is changing, there is more opportunity for women than ever. I attended the Automotive News 100 Leading Women Gala event last September, the most significant and notable change from the 2000 event was the "titles" women "owned." Like all male dominated industries, women like Kitty need to "out perform" their competitors to succeed, in automotive dealerships it’s all about selling more cars. Dealership women owners I personally know, all have a similar positive attitude, vision for what they want exactly, a commitment to customer service and they "really" care about their customers, employees and the communities they serve. Yvonne: Tell us about the Lyn St John Foundation. Jody: This is one of my favorite topics - If you think women in the automotive industry have it tough making it in a male dominated industry.........I believe women race car drivers have it THE toughest. For a woman to compete and get into the top of any race series, especially NASCAR, IRL or any side by side racing, they not only need talent, "wheel time," top level equipment and a first rate team, they also need to be skilled entrepreneurs to secure several million dollars each race season in corporate sponsorships to pay for all those $60,000 - $150,000 engines that get wrecked from time to time! Getting corporate sponsorship to get women into the top flight equipment and on the best teams with the best crews is the crux of the matter. There are many talented drivers in the lower ranks. For some reason getting the "sponsorship dollars" and onto the top flight teams is the frustration of many talented women drivers, (and fans of women race drivers like me). The Lyn St James Foundation provides young women race car drivers with a “driver development program." This program helps women drivers get an edge on how to better handle a race car and more importantly the business side of racing and how to be successful. Fueled by inspiration and limitless motivation, Lyn St. James managed to rise through the ranks and eventually become known as the American Woman Racing Icon of the Century. She is undoubtedly a testament to the power of determination and positive thinking. Women drivers who have completed the Lyn St James driver development program and are nearing the top of their field are Danica Patrick, Deborah Renshaw, and Erin Crocker to name a few. Danica really has the whole package and just last weekend at Indianapolis Int'l Speedway placed 4th in the IRL series. Deborah and Erin still struggle to get major sponsors and top flight equipment and team owners. An interesting fact is that 50% of all NASCAR fans ARE women There are only two women drivers this season in NASCAR you would think with that number of women NASCAR fans there would be more sponsorships for women racers. Deborah may run a short season. Keeping our fingers crossed. Deborah Renshaw is the highest ranking women driver in NASCAR with no ride or enough sponsorship for 2006 (yet). Unbelievable! In the NHRA series Melanie Troxel and Erica Enders have won championships in their respective series as drag racers. To learn more about the world of women race car drivers go to: www.thundervalleyracing.com The Editor Dr Karen Salvaggio is on the Ask Patty advisory panel of automotive expert women. Go here to learn more. The Women's Automotive Association International supports the Lyn St James Foundation and provides scholarships for young women for the driver development program in honor of Deborah Renshaw. This scholarship will be presented August 3rd, 2006 at the Lyn St James annual "Women in the Winners Circle" luncheon in Indianapolis, Indiana. Ford Executive Vice President Anne Stevens will be the main speaker (she is a huge NASCAR fan). I personally feel it's going to take a group of high powered women business owners to take this challenge on by creating a "women racer corporate sponsorship fund" to finance the careers of these talented women to get them to the top! Deborah Renshaw is also the daughter of an auto dealer, a graduate of Northwood University, worked for the National Automobile Dealer Association and Richard Petty Racing School! Deborah is heading up our advisory panel of expert automotive women. Go here for more info. Okay, getting down off my women drivers need support "soapbox" now! Yvonne: Wow! I took a lot of notes. So, are you a 'car geek'? I mean - I can't put the hood up on my car and make any sense out of the 'guts' of my car. Thankfully, I don't have to. My guy is very good at it and he takes good care of our car. Should I learn how to change the oil? Jody: I own two cars, an RV and a Harley Davidson and I made the buying decisions. In my single days I used the dealership service centers. Lucky for me the man in my life is an ASC Certified Master Mechanic (you do want any repair center you take your vehicles for repair into to have this certification...... by the way) and Service Director at a very busy automotive repair center.....so he takes care of the "car geek " issues...However, I do read the new car manual cover to cover on each new purchase so I understand my new machine and know when to change the oil and do other services on time. I recommend AAA Road Service, On-Star or a similar road side service for all women. I am a 30 year member of AAA on all my vehicles and have never been stranded alone in my vehicle on the road without help on the way 'pronto tonto' from AAA. Yvonne: Here's another link from your blog that encourages me. Where did you find this site? Would you recommend it as required training for young girls? 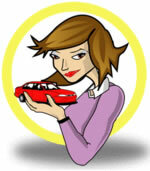 So...what are the top 5 things a woman should know about her car - before taking it in for repairs? Jody: There is a shortage of ASC certified mechanics so women who would rather be a "car-geek" than a? This pays 40 - 100L + depending on the area of the country and if you work for a franchised dealership or a independent. The problem is – helping young women find these great career opportunities. How many high schools showcase automotive careers for women on careers days as they consider what path to chose? For families who have no college fund, Bridgestone/Firestone has a great recruitment and training program for graduating seniors. For more information contact Northwood Edu, the finest automotive degree program university in the country. Read more about Sandra Wingate and Concept Schools here and here. 1. Write down your VIN number (Vehicle Identification Number) located on your insurance certificate, DMV registration or on the dashboard on the left side front ). 3. Have records ready on the date of last service and what was done and by whom and copies of all prior services and what was done and by whom (I keep these in my glove box). 4. List of "due now" regular maintenance (in your car manual). 5. A WRITTEN list of ALL symptoms and problems, even if you don't think so, some small problems may be related to a BIG problem so best to "list all known issues" and discuss when you bring your vehicle in for service or repair as it will assist the service writer, mechanic or technician diagnose and recommend repair all the problems. Writing this all down before you call or visit will help you communicate better and feel more confident discussing the issues. Yvonne: Tell us how you got into this unusual field. It's just not "female-friendly" so -- most woman would avoid it. Were you actually interested in learning about cars, or just determined to be independent when it came to buying and caring for your automobile? Jody: 50% of all women are single (that 50% thing is getting to be a theme here) actually there are more women on Mother Earth than men! I, like many women, was a single parent of three children (all married now and have four beautiful grandkids), buying and caring for my vehicles was part of the "single mother” must do's. I learned out of need to take care of my cars. Jody: Thanks for the kudos's, I am very happy with Patty - The art department at CarsMagazine.com and of course myself, designed it. Patty was designed to be up to date, fun, friendly, smart, strong, savvy and multicultural in look and feel. Do you think we captured it? Yvonne: Leave my readers with some inspiring news about the future of the car industry and how women fit into it. Jody: Nowhere is the emerging presence of women more evident than the automotive industry, where women are making great strides in this once male-dominated environment. In a recent article on the auto industry, The Cleveland Plain Dealer said, "The roller-coaster fortunes of the domestic automakers are part of the historical pattern, but this time there's a difference: women at GM and Ford will play starring roles in the attempted turnaround of both companies." The article lists Ford Motor Company executives Anne Stevens, Nancy Gioia, Barbara Samardizch, Anne Belec, Sue Cischke, Deborah Coleman and Elena Ford as some of the key leaders in deciding the fate of the automotive business in the United States. The automotive industry is not for the weak of heart or the faint of mind. Fear is not an option." said Stevens, recently appointed by Bill Ford as chief operating officer of The Americas and a chief architect of the "Way Forward" plan. 1. New Car and Truck Dealership Sales and Service (an $800 million dollar a year available market). 4. Automotive Aftermarket Providers - All thinks that go on cars after they are sold (billions of dollars sold each year). 6. Automotive marketing and publishing a billion dollar support industry alone. 7. Racing and Performance industry. The Ask Patty advisory panel of automotive expert women are here to answer all your automotive questions, hear your car stories ( good and bad), provide interesting and educational content and discuss in a 'safe' and open ended conversation what YOU need to feel more empowered, confident and comfortable taking care of your automotive needs. What else is there to add? FINALLY - a way for women to get taken seriously when buying a car. What could be better news? Thanks to Jody and all the others at Ask Patty. I know many, many of us will be tuning in on a regular basis. This blog has some great insights, and I am intrigued by your opinions. I'd like to invite you to contribute to my online career-builder blog (http://www.newcareerblog.com). At the very least, I'd like to post a blog or 2 of yours on my site to provide my readers with what I promise, the most in-depth perspectives on building a winning career. My site is www.newcareerblog.com. Jody, this was truly an eye-opener for me. It's much needed information brought to the right folks (the ladies on the net) in a fun, educational way. We love it! You're surely an inspiration. I so look forward to seeing you at Blogher! Daytona...so...are you ready to be put on the Lip-sticking interview list? I have some compelling questions for you. Let's put our heads together and chat! Say when. Thank you for the incredible opportunity to interview with Lip-Sticking! Your humorous remarks punctuated the Ask Patty message with your skillful and gifted "slight of pen" style. I posted the article and links to www.lipsticking.com on Ask Patty just now. Look forward to meeting you in person at Blog-Her on July 29th. I just wanted to comment on an incredible article-interview about www.askpatty.com. Jody DeVere has been on my national radio show on the "Women On The Go" hour for quite a while, and for any woman to facilitate such an aggresive cause for women, such as askpatty, ...it is Jody DeVere. When her children were small, and her husband passed away, she took charge of her life and has accomplished many great achievements as well as mentored and helped many women reach their successes as well. Every woman that she has on as a panelist for www.askpatty.com is a solid incredible powerhouse who has gone above and beyond to "MAKE THE DIFFERENCE"! ASK PATTY is one of the hottest new experiences for women learning to speak out...next to LIP-STICKING! Thanks again for your example in TAKING CHARGE! I LOVE YOUR SITE TOO!